The accreditation allows the University’s security staff to work more closely with the community and the police on and off campus. It gives those staff that complete the relevant training the ability to hand out Fixed Penalty Notices for such things as noise nuisance, graffiti and disorder. 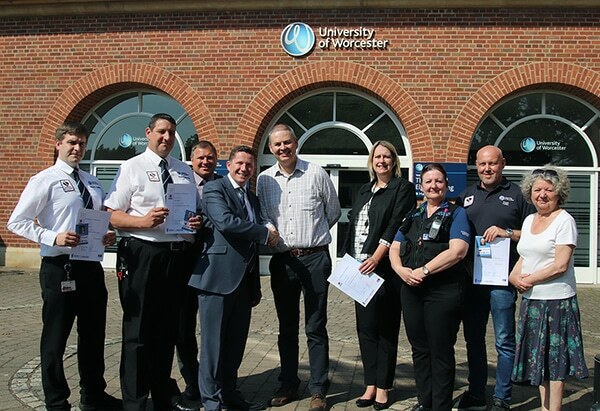 The University of Worcester is one of a limited few universities in the country to achieve the accreditation, under the Police Reform Act 2002. This coincides with news that the University has become one of only a handful of universities in the country whose CCTV has met the stringent requirements of the Home Office.